The Senate Intelligence Committee, as part of its ongoing Russia probe, on Tuesday previewed their initial recommendations to improve election cybersecurity ahead of the 2018 midterms. 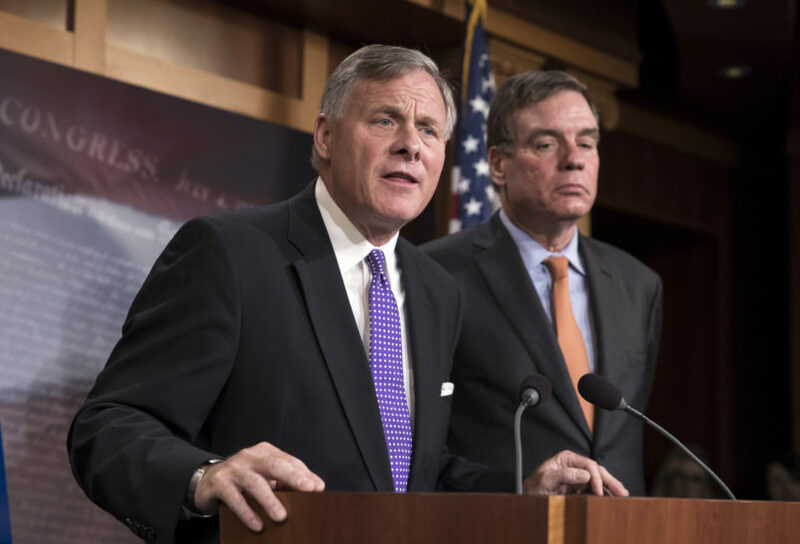 “It is clear that the Russian government was looking for the vulnerabilities in our election systems,” Senate Intel Chairman Richard Burr (R-NC) said at the press conference to announce the release of a summary of the draft recommendations. On Wednesday, the committee will host a hearing with elections officials and the leaders of the Department of Homeland Security on election security. At the press conference, Intel senators stressed the need for states to use election equipment whose results can be audited with physical voting records. “Fourteen states used voting equipment that had not audit-able voting trail,” Intel Vice Chairman Mark Warner (D-VA) said, adding that his own state didn’t have a full system that had a paper trail and that it scrambled to implemented one in time for the 2017 elections. The committee recommended that Congress pass legislation that boosts resources available to states for their election security. At the press conference, lawmakers stressed that states are still in charge of their elections, including the funding of them. However, they said they are considering legislation that would allow the feds to better assist states. Some of that legislation has already been introduced. Other potential measures will fall under the jurisdiction of other committees, such as the Appropriations Committee or the Rules Committee, the lawmakers said. The recommendations come as the other committees probing Russia have descended into partisan squabbling. Republicans on the House Intel Committee have wrapped up their inquiry, over Democrats’ objections, and are finishing their report. Senate Judiciary Republicans meanwhile have focused their scrutiny on Christopher Steele, the ex-British spy who sought to expose allegations of connections between Russia and associates of President Trump. Senate Intel has so far avoided any major public displays of dysfunction. There are still critical and more controversial questions lingering over their inquiry — and specifically those concerning Trump. But Senate Intel lawmakers have signaled they are seeking to move forward on at least the election security aspects of the their review ahead of the midterms. “The Committee has reviewed the steps state and local election officials take to ensure the integrity of our elections and agrees that U.S. election infrastructure is fundamentally resilient,” Tuesday’s summary said.